Everyone loves to be a fan of something and everyone loves to belong to something. I find these very basic statements to be more true than ever to me as I navigate my lung disease. Since many previous avenues for social and creative real world interaction disappear as you learn the new ropes of your living your life with a life threatening disability. I’ve found that a new type of fan experience has allowed me to share and learn like I did when I worked in the home video industry, as well as build new and lasting relationships that are needed as my old real world job related ones fade into the rear view mirror. Physical real world fandom has been the norm for decades. Be it Ralphie (A CHRISTMAS STORY) using his decoder ring to decipher a product endorsement from LITTLE ORPHAN ANNIE, Beatles Fans flipping their mop tops and tossing jelly beans at their idols on stage, or the then-latest teen idol on the cover of SIXTEEN and TIGER BEAT, fans and fan clubs have been our way of connecting to our passions. 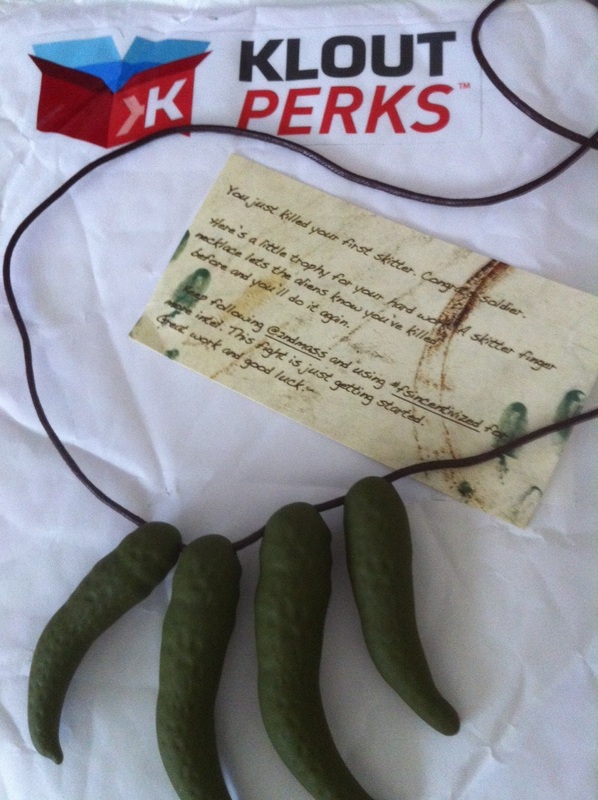 However, that connection was usually not much more than a package in the mail every few months and an assembly line autographed photo. Every so often, the fan clubs or admiration societies would produce something more. 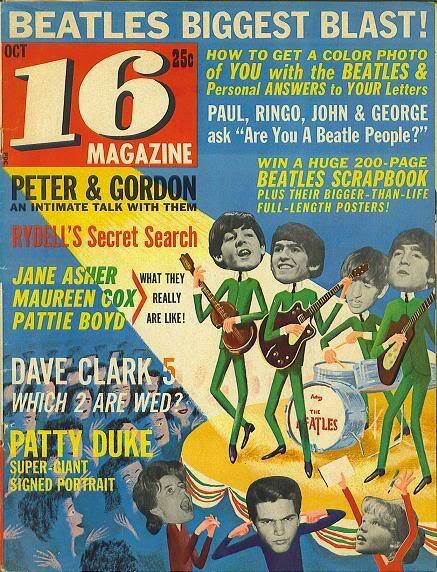 BEATLES fan club members were treated to an exclusive once a year Christmas record that now sell for $100’s of dollars. In addition, while many people know what a “bootleg record” is , and associate it with rock and roll, fans of Bing Crosby were trading and buying bootleg records of studio outtakes way back in the 30’s and 40’s. In other words, many fans clubs were simply commercial extensions of a brand, but a few found a way to get fans more involved and hence more passionate. Of course, the object of the fan’s affection also authorized and sold many items with their likenesses on them. 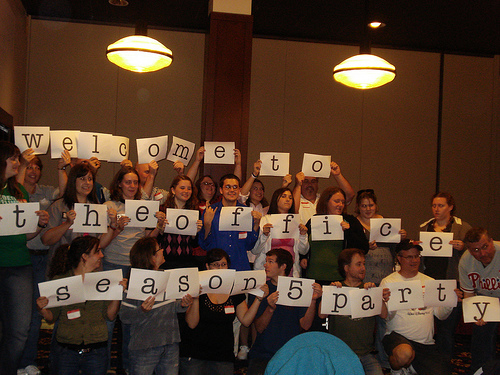 While most of the people who were members of a particular fan club over the years were content with getting a newsletter once in a while and then outgrowing the fandom, a select few built a passion that last through the years and manifests itself in unique ways. We guys get stereotyped for what we like…a lot. We will love something that supposedly makes our female friends very confused as to why we do. One of the premiere “guy likes” are Moe, Larry, and Curly aka THE THREE STOOGES. We watch marathons, we imitate the N’yukiness of their actions, and we dare to be brazen and bold about it. In addition, we can celebrate a brand new feature film about them called (what else, knuckleheads?) THE THREE STOOGES! In the Philadelphia area, we can manifest that boldness without fear of embarrassment. 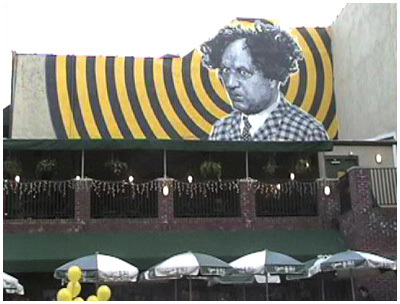 First of all, when any females accompany us to look at the fine art of Philadelphia, we can make sure that we fool them into going to South Street and makes sure that we walk, smiling and laughing, right up to the gigantic mural of LARRY FINE (a Philly native) that is above a restaurant called Jon’s at 3rd and South. HEY, PORCUPINE! The heirs of the THREE STOOGES have tightly managed their legacy, so when a fan enterprise is anointed by them to exist, then it must be good. The second local treasure for local Stoogephiles exists at 904 Sheble La, in Ambler PA, THE STOOGEUM. 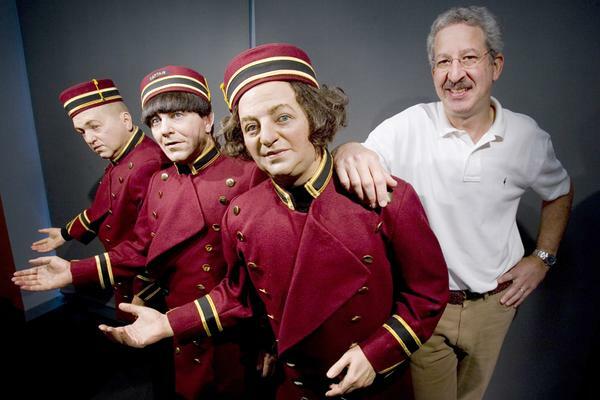 It is the world’s only authorized museum of THREE STOOGES items, with over 100,000 pieces of memorabilia. The items span from 1918 until now, and include an 85 seat theater to show STOOGE FILMS. It is also the headquarters for the OFFICIAL THREE STOOGES FAN CLUB. I’m so ready to go, but you need to know that the museum is as unique as its subject matter. The main quirk is that it is only open 1 day a month, so to get your Stooge on, you need to plan. However, this is a unique” fan experience” because it allows you to directly interact with other fans. You can find their website and more details at http://www.stoogeum.com/. In the age of “now”, the internet has changed all of the rules of fandom. Yep, you can attend conventions and read fan newsletters. However, for the first time, the internet allows you to interact in real time with both the fans and , at times, the objects of adoration. This allows for spirited discussions, many of which will actually influence the future efforts of many of these people and projects. 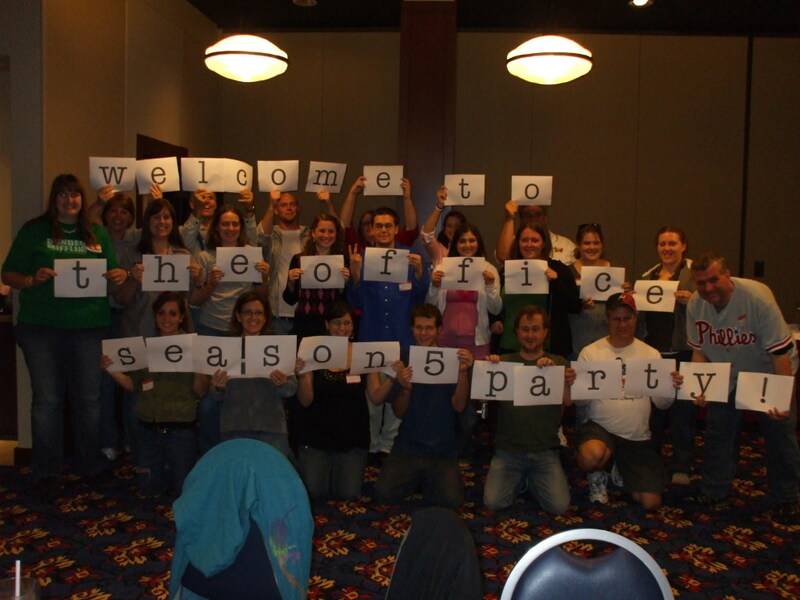 Such is the case of people I met through the official NBC “THE OFFICE” fan website. 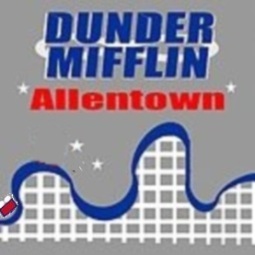 Back during the 3rd Season, NBC set up a role playing site called DUNDER MIFFLIN INFINITY. The concept was that fans “worked” for the paper company at a series of virtual branches scattered around the world. Each branch had a manager and employees. Some branches had hundreds, some had a few. At first, I joined, as others did, in disguise, playing a role and acting a part. We were an employee. However, the site went beyond just show related coloring activities. The site actually had team building exercises, effective fund raising activities, and truly creative assignments, some of which wound up on air. In other words, I found a work experience. I was in charge of a branch in Allentown PA, chosen because it was right down the road from the show’s Scranton branch. We christened ourselves as THE CLOWNSIDE, in honor of Dorney Park’s Alfundo. 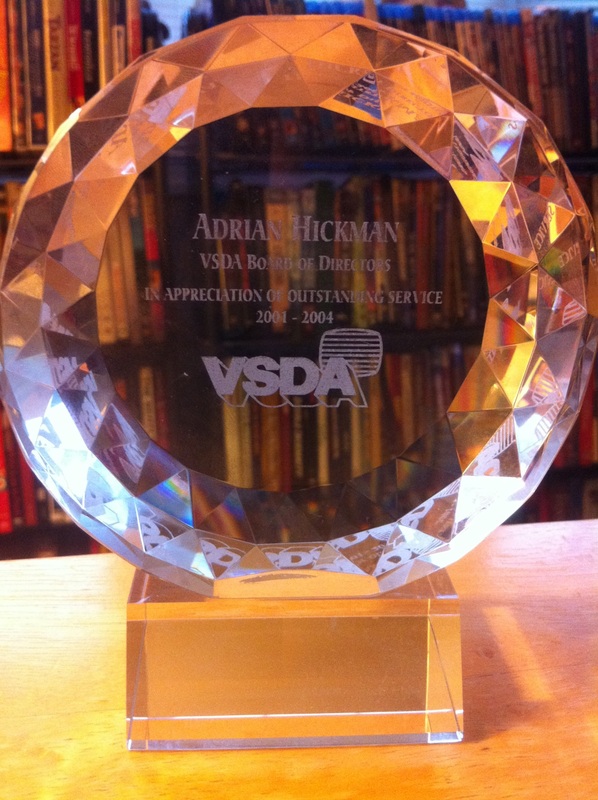 We put on virtual parties and plays, created stories and projects, and just had a blast for over three years. However, over time, the “play acting” dropped off and the employees started to open up as themselves. Yep, we all had screen names but we also all started to learn and care about each other. 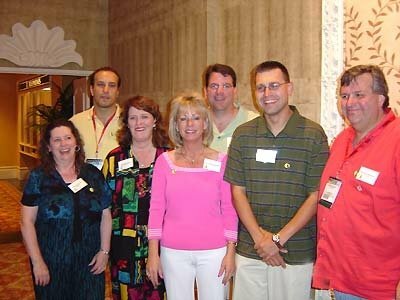 Many of the sites participants became friends, for me , many became lifelong supporting and treasured friends. As we grew to know each other through our keyboards, we started to wonder about getting together in real life. The problem was that while we could be virtually geographically close to the Allentown branch, the real world commute was, for some, much farther. Taking the cue from other branches like the LONG BEACH CA branch, we decided to try to get together in real life. 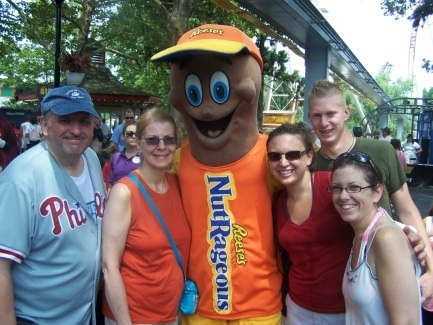 We decided to do a “company picnic” at HERSHEYPARK, since we felt the location was easy enough for a large part of the surrounding states to get to without too long a trip. At our first “picnic” we had over three dozen attendees and were even covered in the press. We had a total of three Hershey picnics, which have since morphed into simple Central PA picnics. 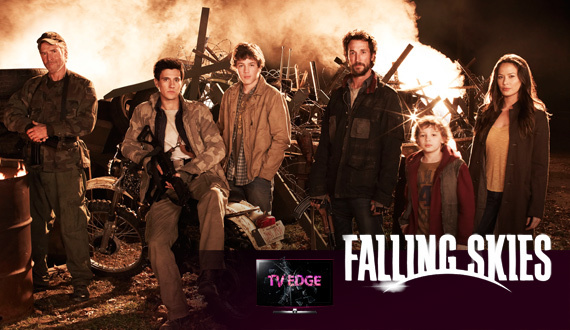 In addition, we also created a promotion for NBC to hold “premiere viewing parties” for the 5th Season of the show. Over 50 parties were held across the country, and we held ours at DAVE AND BUSTERS in Plymouth Meeting PA. We drew almost 45 people to the event. To this day, I am still friends in some way with over 100 of these DMI employees and a couple dozen of them have become invaluable to me as I deal with my illness. These people care for me and I for them. They have superseded the anonymity of the internet to become true friends. Yes, some I have met in person, and some I am determined to meet and hug in person someday. They come from all over the county, but they are as close as my keyboard and my heart. They have become my friends and when my spirits are low, as they are way too often, they are there, they are real, and they are loved. They are a great part of the reason why I keep trying. I’ve always wanted to write about them publicly and shout to the world how great they are. With you indulgence, I just took the opportunity. And I will celebrate them forever.